Tim Cook is as adamant about putting an end to major product leaks as he is about leading his team of innovators and engineers towards fostering powerful new products and technologies for the next-generation of mobile users. And while the Apple CEO has previously alluded to his company working to develop new products in the burgeoning fields of augmented and virtual reality (AR/VR), we don’t know exactly what to expect of these first-fruits just yet. However, thanks in part to some under-the-radar revelations shared by sources familiar with the company’s ongoing plans, CNET recently reported some of the first key details about Apple’s first, upcoming AR/VR products, which will reportedly embody “a headset capable of running both AR and VR technology,” also known as an MR (Mixed Reality) headset. According to one source, Apple’s “plans so far call for an 8K display for each eye – higher resolution than today’s best TVs – that would be able to function untethered from a computer or smartphone,” allowing the device to function independently without needing to be wired down to a peripheral or base station device a la HTC’s Vive VR headset. Unclear from CNET’s report is whether this supposed box-styled device is the same thing as Apple Glass – the augmented reality glasses Cupertino has been rumored to be working on for quite some time now. 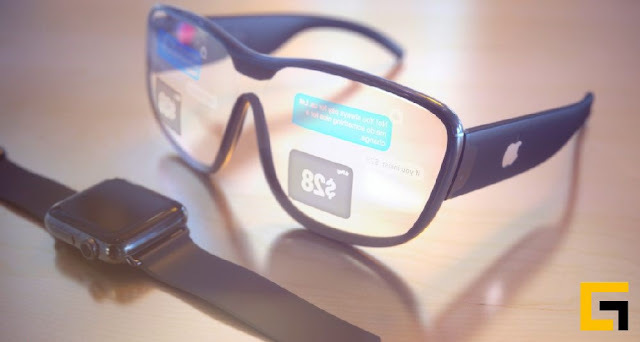 Said device is currently believed to take on the form of actual eyeglasses similar to, albeit more advanced than, Google’s once-promising Google Glass AR spectacles. Naturally, Apple declined to comment on CNET’s report when reached for additional details, but it’s resoundingly clear the company is up to quite a bit in the AR/VR space. Cook, however, has previously expressed his belief that AR is a more promising technology than VR. Apple has also moved to hire multiple experts, engineers and has even pioneered some new VR experiences, suggesting that its first finished hardware product is coming soon. In a report published last November, Bloomberg’s Mark Gurman noted that Apple could have its first product ready by 2019 or 2020. Today’s report, which cites that Apple’s MR headset project is internally code-named T288, is in its earliest stages of development and slated for release in 2020. The company could still change or scrap its plans at any time, however. What do you think about it tell me in comment section.